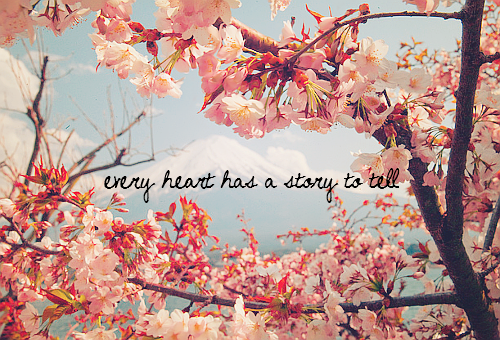 We all have a story to tell, what’s yours? I wanted to share a friend’s story. Her words are powerful, even in a time of struggle. Her story may be more challenging than some but I think we can all relate to struggle, perseverance and defining ourselves. Like I have said before in previous posts, if we all share our story we will all be able to find some common ground and I think that is a great part of healing. I would encourage you to share your struggles and your story with someone and maybe you might be surprised with the response or the outcome. On paper, I’m nothing fancy but I have an extraordinary desire to give life all I’ve got. Despite being diagnosed with dyslexia and physiography at the ripe old age of 17 after begging to be tested, I have a degree in finance with honors. How did I get through 12 years of school without being diagnosed? It was easy really, I moved almost every 2 years as a child and I was very outgoing and happy. An earlier test had diagnosed me with poor vision and social life that distracted me from completing my work aka I talked to much. I made up for not being able to understand what I was reading by asking my friends questions, copying their answers so I could complete my work on time and then going home and figuring things out for the exam. I had not read a complete novel until grade 8, it was the Outsiders , I remember begging my mom to let me stay home so for once I could finish the reading and complete my homework before I knew the answers. She allowed me after many tears and to this day I remember how proud I was. Fast forward many years of fighting for the right to attend university without prejudice ( a few professors needed to understand that the accommodations provided were not a choice, it was in fact a legal matter of discrimination should they choose not to comply). I now work in IT as an analyst and I live in a beautiful tiny apartment with my wonderfully supportive boyfriend. To most I’m free spirited, polite, and soft spoken. To those who know me best I’m cheeky, opinionated and amusing. Internally I am struggling to define who I am, because all that defined me has recently been taken away by an unrecognised yet wickedly debilitating medical condition. I have very little energy, I can sleep an upwards of 16 hours, my muscles are week and I am prone to fainting. I’ve had to postpone most things I enjoy in life. I had to drop out of night classes (I was taking events management for fun), I can no longer play soccer or snowboard, run or do yoga, I can’t drive long distances which has prevented me from visiting my friends and family. I’ve missed out on birthdays, baby showers.. a social life. I’m not able to stay up late so the Friday nights out with friends are just too exhausting. My 20’s have been a roller coaster. I’ve done more than I could have dreamed of by way of internal growth. I’ve accepted that I am in control of my life; I control my thoughts, I control my actions. This being said I can’t help but to feel a little inadequate in my achievements at 29. I do not have wild stories of travel, I am not married, I don’t own a home, I do not have children or a wonderful career. By today’s standards I am pretty undistinguished. But I don’t feel this way. I have worked so hard my whole life, I’m the real life version of the little train that could; I’ve consistently been a top performer at whatever I put my mind to.. my job, my studies, my volunteering. I’ve stayed out of trouble (for the most part) but that doesn’t always produce the desired result because we’re not all dealt the same hand. I have been provided with a body full of opportunities beginning with the delayed diagnosis of a learning disability, progressing in to hypothyroidism compounded with anxiety and I am now being tested for adrenal fatigue among other possibilities. I have been struggling with my health for the better part of a decade and I’m here to publish my story in hopes that I can give hope to others going through something similar. Deep down I hope that this story of mine catches on and that it inspires our young doctors to question why they are not being taught more about the thyroid and adrenal glands. To inspire our researchers to put time, money and effort into something that has been recognised by other first world countries as a treatable illness. I question why something so vital is provided so little consideration by our health services? I may look healthy and through standard medical testing they cannot diagnose me, but they have acknowledging my symptoms as real and have tried to treat me with the little knowledge they have. The struggle and pain I go through almost every day is incomprehensible yet without spending a small fortune for a private doctor (whom I adore) there was no hope for healing. I’m lucky to have found her and to be able to afford her premium. But the fear behind the pain, the confusion, the hopelessness that I have felt deserves attention because I’m confident that I am not the only one going through this. And so here I am ready to share with you my intimate journey with hypothyroidism and the possibility of adrenal fatigue.